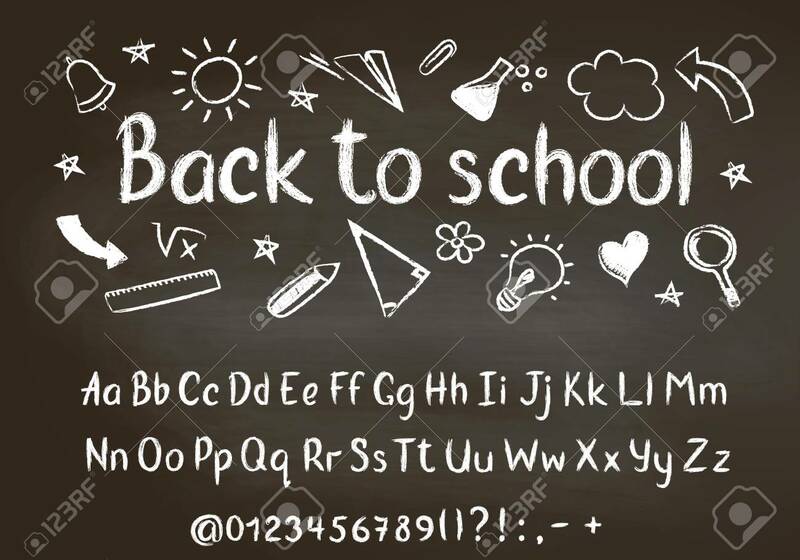 Back To School Chalk Text On Blackboard With School Doodle Elements.. Royalty Free Cliparts, Vectors, And Stock Illustration. Image 106199674. Vector - Back to school chalk text on blackboard with school doodle elements and chalk alphabet, numbers and punctuation marks. Back to school chalk text on blackboard with school doodle elements and chalk alphabet, numbers and punctuation marks.